The smartphone industry has slowed down in recent years and it is a popularly held belief that the lack of innovation is behind this. However, with the arrival of 5G and foldable smartphones, things might start looking up again. One of the most anticipated devices this year is Samsung’s foldable device, with sources calling it the Galaxy Fold. Samsung first revealed a prototype display 8 years back, and the chaebol is finally ready to release a foldable smartphone. In a recent editorial, Samsung SVP and Head of Visual R&D Team, Hark-sang Kim explained how the new form factor can revive the bearish smartphone industry again. Samsung is expected to reveal the Galaxy S10 lineup next month and just yesterday, the company revealed that its foldable smartphone would be a part of the unveiling too. A working prototype of the handset was revealed back in November during the SDC 2018. However, it is unlikely that both the Galaxy S10 and the foldable device will be launched at the same time. Hark-sang Kim believes that with emerging technologies such as AI, AR, and 5G, smartphones are about to become more important than before. He also said a larger screen would be essential for harnessing the true potential of these new technologies. 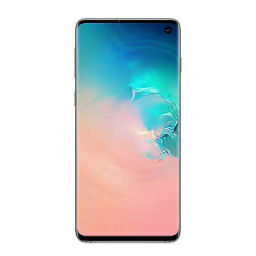 Previously it was thought that the size of the smartphone display is restricted by the size of the device, but Samsung has pushed the envelope by creating a new form factor that will surpass this limitation. The Infinity Flex Display is a result of years of hard work and this is expected to be just the beginning, as we might also see rollable and stretchable devices from the manufacturer in the future. Apart from perfecting its foldable display, the South Korean behemoth also had to think of new ways of accommodating the cooling system, camera, and the battery in a slim body. Lastly, the company built a new UX from the ground up to ensure that apps transition easily between different form factors. Although Samsung has painted a rosy picture of the foldable display, the real challenge would be persuading customers that its foldable smartphone is more than a bendable device, it can actually help them do things that they can’t do on their ‘candy bar’ smartphones and tablets. Do you think foldable smartphones will have some benefit when the first device is launched? Let us know your thoughts down in the comments.